Dr Munyaradzi Kereke, the former advisor to erstwhile Reserve Bank of Zimbabwe governor Dr Gideon Gono, has sent an affidavit to the Prosecutor General’s Office, further nailing his former boss on fraud and corruption. Dr Kereke has a pending case in the courts in which he is pushing for the Zimbabwe Anti-Corruption Commission to investigate corruption and fraud allegations against Dr Gono which he allegedly committed at the RBZ. Dr Kereke also wants a declaration that the refusal by ZACC to investigate the allegations was a breach of its constitutional mandate. 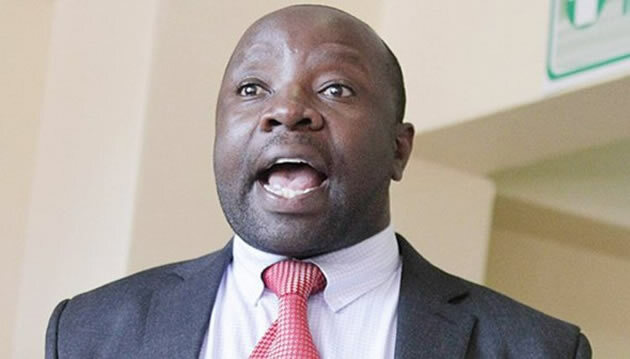 The affidavit, which Dr Kereke attached to his letter to the Prosecutor General, was done by Fidelity Printers and Refiners chief executive Mr Alan Marimbe in which he accused Dr Gono of not following procedures in handling cash at the RBZ. Mr Marimbe has a pending case at the Harare magistrates court in which he faces allegations of defrauding Fidelity Printers of more than $2,6 million together with two of his managers. Dr Kereke said Mr Marimbe’s affidavit was evidence enough that Dr Gono did not handle issues well at the apex bank. “I write in my own name as a citizen of Zimbabwe in pursuit of Sections 258, 259(11) and 260(1)(b) of the Constitution of Zimbabwe to report that Dr Gideon Gono, former governor of the Reserve Bank of Zimbabwe was directly part and parcel of the fraud at Fidelity Printers and Refiners which is currently before the courts,” he said. “Please note that I am also at the Constitutional Court where I am seeking the intervention of the honourable court to cause an investigation on Dr Gono for other various acts of fraud and corruption, including the selling of Fidelity gold bullion at discounts of 34 percent to a Saudi Arabian private company. In the letter which he copied to the Minister of Justice, Legal and Parliamentary Affairs, Dr Kereke said he stood ready to bear testimony as a State witness should the need arise. In his affidavit signed on July 30, 2015 before Commissioner of Oaths Portia Chiwetu, Mr Marimbe said during his time at the RBZ as Division Chief — Banking and Currency of RBZ, transactions were being done verbally. “During my period of service as division chief responsible for banking and currency as well as during my service as chief executive officer of the company (Fidelity Printers), cash was released through Dr Gideon Gono’s office on verbal requests as was the norm for undisclosed national strategic purposes and I never made him sign,” he said. Mr Marimbe said he should not be held responsible in the event that the funds he released on verbal instructions were not used for the stated purposes.